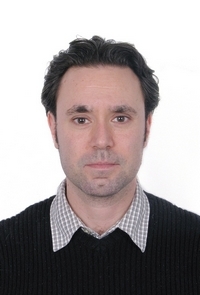 Jeremy Daum is a Senior Research Scholar in Law and Senior Fellow at the Paul Tsai China Center. Before joining the Paul Tsai China Center, he worked with the New York University U.S.-Asia Law Institute, where he played an active role in all aspects of the institute’s China-based rule of law projects. Jeremy Daum is a Senior Research Scholar in Law and Senior Fellow at the Paul Tsai China Center. Before joining the Paul Tsai China Center, he worked with the New York University U.S.-Asia Law Institute, where he played an active role in all aspects of the institute’s China-based rule of law projects. Daum has designed, implemented, and participated in a wide variety of research and legal reform programs throughout China, particularly involving criminal procedure, death penalty cases, and international human rights standards. He also speaks and reads Mandarin Chinese.